Now the whole family can get serious about fitness with our New Children’s Programs and Family Memberships. We’re teaming up with Parisi Speed School to provide comprehensive exercise, recreation and sports specific training for 6-18 year olds. Kids programs, located in our Fieldhouse, are age appropriate and scheduled to allow parents the time for a workout in our main building. The Atlantic Club’s 20,000 square foot athletic training facilities are the best in the area! Our facilities feature full court gymnasiums, batting cages, turf fields, group exercise studios, parents viewing area and much more. 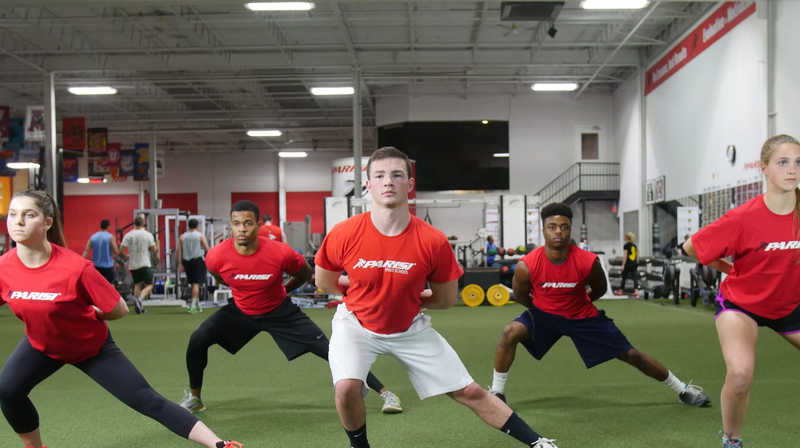 We offer one-on-one personal training programs, as well as the Parisi Speed School system for ages 7 and up. The Parisi Speed School systems will help build your child’s athletic foundation of speed, strength, flexibility and, most importantly, confidence. Our training specialists are highly educated and highly motivated to give you the ultimate training experience. Our Fieldhouse provides an exceptional Speed School development program that is unparalleled to any other. At The Atlantic Club we use the latest equipment that is challenging at any level. Our highly educated staff stays committed to the cutting edge of fitness knowledge. This exceptional drive continues to provide better service to our clients and athletes!